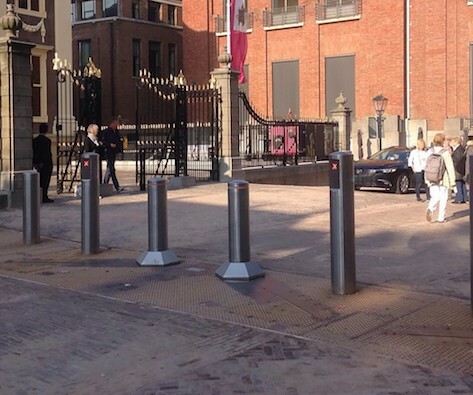 Another revolutionary product from Heald, the Matador is a surface mounted, automated bollard system. The HT1 – Matador comprises two fixed bollards mounted on a plate, central to the fixed bollards is one or two automatic sliding bollards. On command, these bollards simply slide to the side to allow passage of the vehicle, and slide back to protect the location. 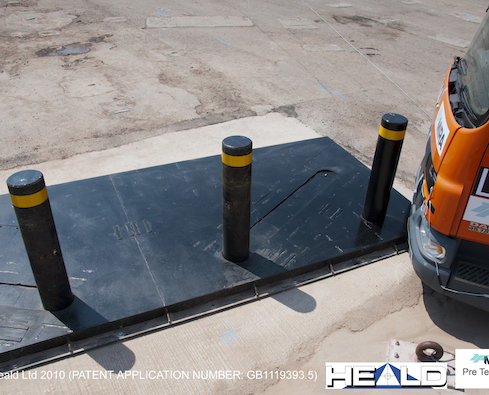 This is a revolutionary product – the world’s first and only true surface mounted Automated Bollard (Patent application number GB1119393.5). Special design to prevent ingress of dirt or debris. Fully Health & Safety compliant – no pinch points or trap hazards, no voids as complete moving mechanism is fully contained within the base plate. 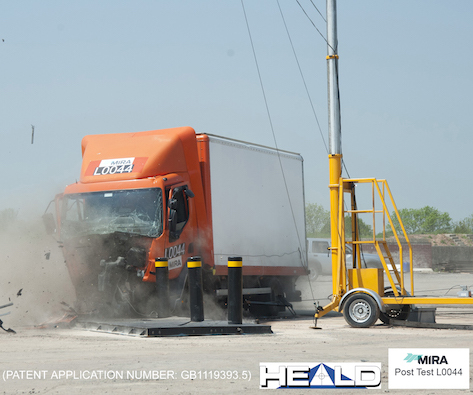 The bollard simply slides into position to protect the location and slides diagonally on command to allow vehicle entry and exit. Operating speed – approx. 7-8 secs. Would be suitable for any site, also sites requiring temporary security measures or surface mount solutions. Completely visible to drivers and pedestrians at all times, bollard movement is visible at all times. Like all our systems, the Matador can be supplied with various access control systems or integrated with existing security systems.